William Weaks (Willie) Morris, a Rhodes Scholar from Yazoo City, has written more than a dozen books, attained national prominence in his career as a journalist, nonfiction writer, novelist, editor, and essayist. Shortly before the publicaton of his best seller, North Toward Home, he became editor-in-chief of Harper's magazine in 1967. He is particularly well known for the books and articles in which he compares his experiences and southern heritage to America's own history. He has been writer-in-residence at Ole Miss since 1980. I hope the lives of these long-dead young men of the Confederacy were not wasted, nor I pray were the lives of the thousands of young Northerners buried in Vicksburg thirty miles from us. Those were terrible, passionate times. The fate of our nation rested in blood. One half of the Mississippians in that war did not return home. Three-quarters of a million Americans of both sides perished in a country of only thirty million people. 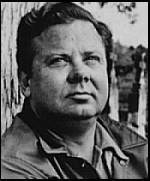 Merely by chance, today is the 10th anniversary of the death of my dear beloved friend and comrade -- and David's -- the great American writer James Jones of Illinois, the preeminent novelist of World War II -- From Here to Eternity, The Thin Red Line, The Pistol Whistle. I feel Jim Jones' powerfully wrenching and realistic spirit with David and me in this cemetery of our family today. We lay him in the ground on Eastern Long Island ten years ago next to warriors of the American Revolution, Jim Jones was a soldier -- he knew deeper than almost anyone the suffering of young men of all wars, their agonies and fears. In the words of the Old Testament, Let Us Now Praise Famous Men. My great-grandfather, Major George W. Harper, was ineluctably linked to these dead. He migrated from Virginia to Raymond in 1843. He was the editor and publisher of The Hinds County Gazette from that year until 1881, to be succeeded by his son Samuel Dawson Harper. Major Harper was a classicist, a politician, a soldier, a writer, a man of dignity and honor and courage, one of the distinguished editors of the South of those vanished times. He was a close friend and ally of Henry Clay. He was the Major of the militia here, and represented Raymond in the state legislature both before the Civil War and after. His memory is synonymous with this lovely and historic village, and with Mississippi. He was a Unionist Whig. He descended directly from the Harpers of Alexandria, who fought with and intermarried with the Washingtons and Lees. 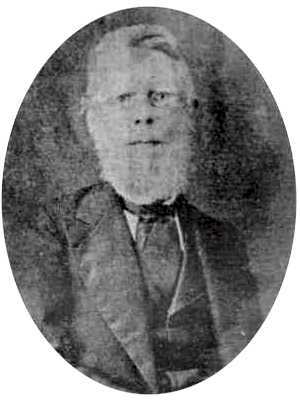 His wife's uncle was General Cowles Mead, the Territorial Governor of this state. Another uncle through his marriage to my great-grandmother, United States Senator Henry Stuart Foote, was instrumental in the Great Compromise of 1850 which averted war by ten years. He defeated the junior U.S. Senator, Jefferson Davis, for Governor of Mississippi in 1851 on a Unionist Fusion ticket also actively espoused by Major Harper. David's and my people believed passionately in the Union. They knew that the dissolution of it would lead to the most horrendous war in the history of the human race, and they were right. When the final break came, my great-grandfather, as with the Lees and so many others, chose the South. The Federal troops under direct orders from General Sherman destroyed his printing presses by depositing them in the town well. After the Battle of Raymond, our family house only a few hundred yards from where we now stand was a hospital for both sides. It ran red with blood. My great-grandmother, Anna Sims Harper, nursed the young and wounded and dying. On the front porch she wrote down the dying words of a young Illinois boy to his mother and made sure it got through the lines. David's and my old Harper house here, birthplace of my mother and grandmother Mamie (whom I loved more than anyone), and great-aunts and uncles, is testament to those cataclysmic years. In the bitter days after the War, my great-grandfather stood firm for the reconciliation of North and South. In 1871, shortly before his re-election to the House, he published his own political platform, which included "the protection of all, whites and blacks, in the quiet enjoyment of their civil and political rights" and support of the 13th, 14th and 15th Amendments to the United States Constitution enfranchising the black man and upholding his full civil liberties. A number of prominent Democrats asked him to stand for Governor in those latter years. He said he was worn out. In a speech to old veterans in 1884, nearly 20 years after Appomattox, Oliver Wendell Holmes said: "I think that, as life is action and passion, it is required of a man that he should share the passion and action of his time, at peril of being judged not to have lived at all." As we honor the Confederate dead on this lovely forenoon of spring, and dedicate the marker to my great-grandfather in the old family plot, indulge me the question: Where is our nation today? Where has the passion gone which compelled all its young men to die those years ago? They of both sides died for something - for a belief, a hope, a memory, a love, a sustenance, a belonging, a caring, a spirit, a loyalty. We were divided then in our blood. The terrible division and sacrifice should be long behind us as Americans. Once is enough. Let us take this moment to say no more. Let us renew ourselves today to our ancient honored sources of Southern and American earth -- top compassion for the weak and unfortunate, to brotherhood with our black brethren, to civility and justice in our complicated democracy, to the hard-carved Jeffersonian precepts of the democracy of talent regardless of race or creed, and to an abiding sense of the nuance of history and to the indwelling past. In my deepest heart I know that these are the things my great-grandfather, George W. Harper, would wish of us, his progeny. I am proud of him. Copyright (c) Friends of Raymond, 1998 - 2002. All Rights Reserved.